I for one have always thought that the Panther tank was taller than it needed to be. I confess the Panther by nature of using the same engine as the Tiger, would tend to have a tall rear deck. But the middle and front could of been lowered by 4 to 6 inches. Though I admit if they had time they would of built a engine that was lower instead. Layman's guess is weight distribution went pear-shaped once guns and turrets started getting substantially heavier. "The Panther tank, widely used by the German army since summer of 1943, is a new type of heavy tank, vastly different from other heavy tanks in tactical purpose. The difference is in the use of Panther tanks as tank destroyers, and not as breakthrough tanks. This is indicated by thick front armour and a powerful gun, but poor side, rear, and turret armour"
I would add 'a powerful *AT* gun but which fires an unimpressive HE round" to that. 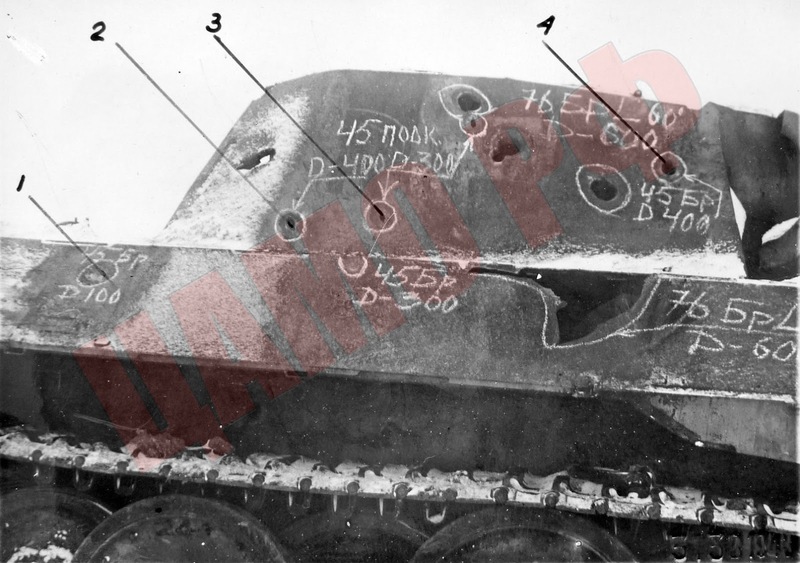 In view of this, the first use of the Panther, at Kursk as a brigade in GrossDeutschland slugging through Soviet infantry defenses, is just as much a misuse of a weapon as the use of the Ferdinand as close-range assault guns against the same. When I first started studying WWII Eastern Front history, I was taught "the Panther was the finest tank of WWII". Now I don't think so, the Germans should have tried something closer in specifications to the later T-44 in armor and gun, using their 88/56 instead of the Kwk42, as the former was good compromise between AT and HE capability. Tanks actually spend most of their time shooting at non-armored targets, and in plowing through infantry defenses one is almost inevitably going to expose one's side armor. While it is unrealistic for the side armor to withstand hits from an enemy's first-tier AT weapons, it should be at least not a 'sure kill' for the weaker weapons the infantry might possess. Having it fail against a gun so dated and incapable as the 45 mm in 1943 is just unacceptable. I see your point, AKMS (very good explanation, and good illustrations of your point). However, I can understand why the fuel tanks were moved forward too. While it's not ideal to have them outside the engine compartment, if you are going to do that it helps if you put them behind some of the toughest armor of the vehicle. The fuel itself was armour, in a way. It did not ignite when hit with HEAT and subcaliber penetrators would also be stopped when hitting the liquid. APHE would definitely ruin your day, but that was starting to be less common on the battlefield. I'm not enemy of T-55 and T-62 layout. In my opinion that's better layout than Panther tank layout. But in my opinion Panther tank layout also have advantages. Generally, in my opinion, if you need every fuel tanks located inside engine compartment, in this case transverse mounted engine don't make a big sense. BTW, in my opinion that's not strange that Panther have worse ratio between armour and weight than T-44 (T-44 and later Soviet medium tanks and MBTs, that's world record in this case). In my opinion that's more strange that Panther have worse ratio between armour and weight than M26. BTW2: in my opinion in WWII tanks side hull armour is underrated- I know data which suggest that more projectiles hit sides of hull than front of hull. Due this maybe Tiger I can be a more hard target for enemy guns than Panther (far better sides in Tiger). Nothing particularly strange about that; by the M26 US designers were unifying the engine and transmission in the same compartement and thus avoided the hull height penalty from running a transmission shaft through the fighting compartement. That directly translates to less surface area to cover ergo better protection for a given tonnage.